The gambler's fallacy is a term of gambling terminology which the players can meet while playing different games including roulette casino game. 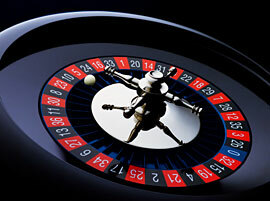 It is considered to be one of the popular roulette myths. The other name for designation this term is Monte Carlo fallacy. This term means that when the deflections from the usual behavior are repeated during some process, they are supposed to even out in the future, or in other words - each play in the casino game is not independent. One of the most common examples of the gambler's fallacy is a fair coin. When someone is tossing the coin and the tails comes up repeatedly for several times, the players can consider that heads has all chances to come up during the next tosses. When the gamblers consider something (some results of the game, for example) to be natural but this idea is erroneous, this is called an informal fallacy or law of averages. Most gamblers tend to believe in different things connected with their chances to win or to lose in this or that kind of game. There is an advanced conviction that after, for example, seven black in a row there will be finally red or vice versa. But it is not so. The roulette wheel has no memory (if we do not speak of course about the biased roulette wheel) and every roulette spin is independent. The probability that something will definitely happen is 1/1 or 100%. There is a 100% chance that the red pocket will be the winning one the next time. Let's take an American roulette. In the American roulette there are eighteen black spots, eighteen red spots and two green. The chances that the ball will land on the red spot are 18 to 38. And after consecutive eight reds the chances of landing on red are the same as they were - 18 to 38.